Today we check out a 2009 malbec from Mendoza, Argentina that cost me $8. I first had Tilia at a restaurant. 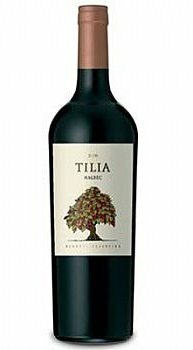 It was a cheaper red, among a collection of overpriced, mediocre labels — that was not a great sign for Tilia. But I tried it, together with pasta in a spicy red sauce, and really liked it! It’s very juicy, fairly deep and dark, and most importantly at such a low price, it does nothing wrong (unless you like your wine bone-dry). To test the bar effect,** I tried it at home, and it held up: for only $8, Tilia is a no-brainer that you will enjoy with a burger, pizza, that pasta and red sauce, or by itself. Not much complexity or tannins — just a simple, dark-fruited and easy-drinking red that has more to offer than your usual Yellow Tail / Barefoot / etc. Plus it’s a malbec, which is all the rage these days, so it’s a great choice to bring to a party. **The mysterious “bar effect” often makes a wine seem captivating, original and wonderful when you’re out among the bright lights and beautiful people, only to disappoint gravely when you drink it at home in front of the kitchen sink. Categories : -----malbec, 1 All, 3 Reds, 6 Under $15, 9 Recommended, Bring to a party!